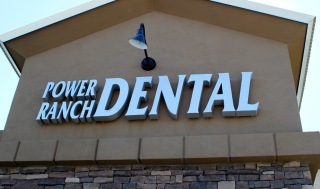 Here at Power Ranch Dental we genuinely care about our loyal patients and their dental needs. In the current economy we have seen a rise of patients losing their dental coverage. We recognize that this can make it difficult for some families to maintain a timely regimen with their continuing care. Keeping this in mind, in an effort to help promote our patients dental health we would like to present to you the new Power Ranch Dental Plan. The cost of the VIP Plan is $150.00 per year and $75.00 for each additional dependant. This plan entitles you to 2 routine cleanings, x-rays and 2 exams per year at no additional charge to you. You will also receive a 30% discount on additional dental services provided by Dr. Kennedy, Dr. Buhrley and Dr. Halls. Should you have any questions regarding the plan, please call the office and we will be happy to assist you. Help us continue to maintain you healthy smile, sign up today!